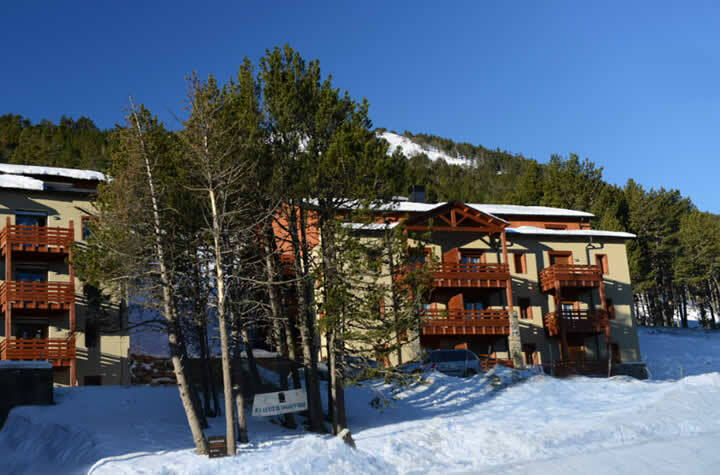 Prat de Lis is a small residence at the foot of the ski slopes offering doorstep skiing*. 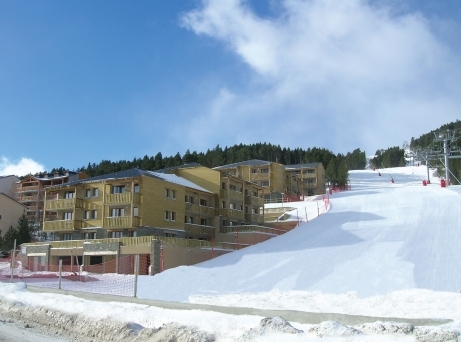 It is close to the ski lifts and ESF ski school and just 300m from the resort centre and its shops and services. 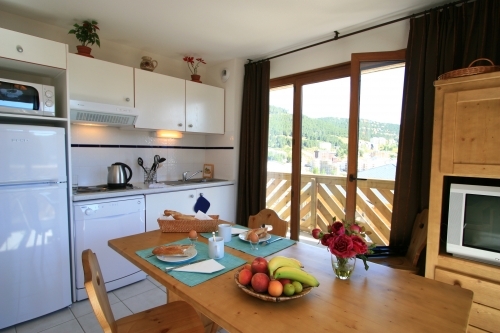 Prat de Lis in Les Angles is situated at the foot of the ski slopes, close to the ski lifts and ESF ski school and just 300m from the resort centre and its shops and services. 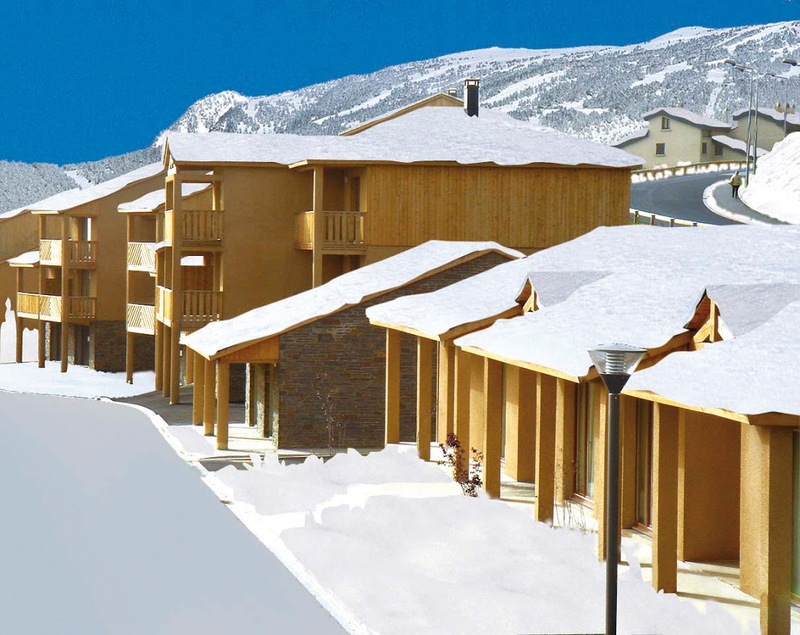 This ski residence is composed of just 70 self-catering apartments spread over 3 five-storey buildings (one with a lift), all built in a traditional Pyrenean style and surrounded by natural open space. 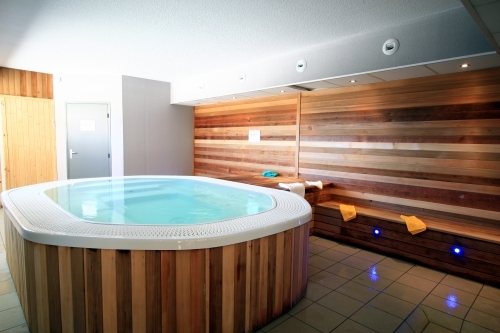 Facilities at Prat de Lis include free access to the sauna and Jacuzzi, free outdoor parking (subject to availability), Wi-Fi internet access in apartments (payable), covered parking (payable, subject to availability). TVs (payable on site), cots, high chairs and raclette sets can be hired (all subject to availability, cots and high chairs to be requested at time of booking & for babies under 2 years old). 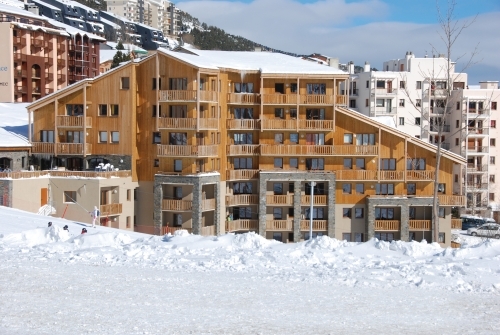 All the self-catering ski apartments at Prat de Lis in Les Angles are fitted and furnished to a very good standard of comfort and convenience. 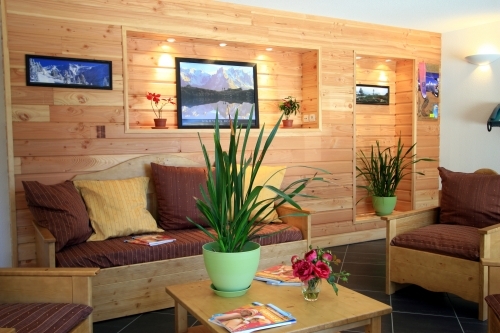 The interiors are bright, fresh and modern with homely touches throughout. They all have a fully equipped kitchenette with microwave, 2 or 4-ring electric hob, dishwasher and coffee-maker. Certain apartments have a balcony or terrace. 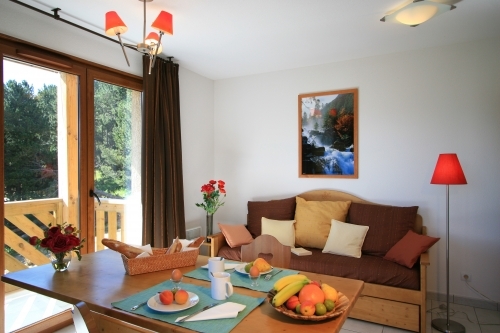 *This indicates that you can access to or from the slopes with ease (within 100m of the residence). This is subject to normal snow conditions in the resort at that time and to the individual skier's ability. 1 Bedroom Apartment sleeping 4 (ca. 25 - 30m2): Open plan living/dining area with a sofa bed (converts to 2 single beds), 1 double bedroom, bath or shower room with WC. 2 Bedroom Apartment sleeping 6 (ca. 37-39m2): Open plan living/dining area with sofa bed (converts to 2 singles beds), 1 double or twin bedroom and 1 small bedroom with bunk beds, bath or shower room & WC. Please note: Alcoves are usually not enclosed, have bunk beds and no window. For any apartments at Prat de Lis that feature bunk beds, sleeping in the top bunk is not recommended for children under the age of 6 years old. Fully equipped apartment, access to the Jacuzzi and sauna (open every day 09:00-11:00 & 17:00-20:00) and outdoor parking (subject to availability). - Hire of bed linen: £5/person. - Hire of bed linen with beds made on arrival: £23/apartment sleeping 4 & £27/apartment sleeping 6. - Hire of towel kit (1 hand, 1 bath & 1 tea towel): £5/kit. - Optional end of stay cleaning (excluding kitchen area & dishes): £27/apartment sleeping 4 & £37/apartment sleeping 6. - Hire of bed linen with beds made on arrival & end of stay cleaning (excluding kitchen area & dishes): £42/apartment sleeping 4 & £56/apartment sleeping 6. - Optional covered parking: £27/car/week (subject to availability). - Refundable breakage deposit: €200/apartment - Please note no deposit, no keys! - Local Tourist Tax: €1.10/person/day (guiding fare). - Hire of cot or high chair: €15/stay/each or both: €25/stay (all subject to availability, for babies under 2 years). - Hire of raclette set: €5. - Hire of TV: €29/week (subject to availability – state at time of booking). 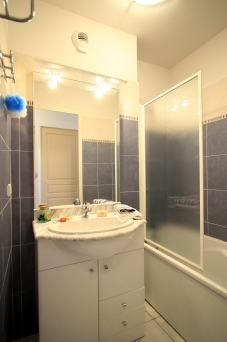 - Wi-Fi internet access in the apartment: from €2.90/day & €25/week. - Applicable fees if apartment is not left in perfect order: €35-€69 (depending on the size of the apartment). Only two pets per apartment are allowed and will be charged €39/pet/week (payable locally). A valid passport for your pet is compulsory. Arrival day at Prat de Lis is Saturday (and other days on request) 17:00 - 20:00 and Departure 08.00 - 10:00. (Contact residence by 18:30 if arriving late. Code box will be used).